With few jobs available, people are looking for any opportunity to make a little extra money. That is why so many people start businesses. Many people have started their own business as a way of supplementing their income. If you are looking to do the same, but don’t have the time to dedicate to a full time endeavor, consider starting a home garden. If you own land, whether the plot is big or small, let it earn you money by planting a garden. A successful home garden can earn upwards of a $1,000.00 annually and can help reduce your food budget. The trick is to have a plan. There are three things to remember when planning a home garden: climate, diversity, and marketing. Climate determines the perfect conditions for growing crops. Your local climate encompasses soil quality, local flora, water supply, and temperature. Before planting, consider your local area’s climate. You want to select items that will thrive under the agricultural conditions you live in. For example, if you live in California, where the climate is warm and the soil rich and fertile, consider planting citrus fruit. Citrus fruit thrives in California because of a warm climate and mild winters. But you should not plant cherries, which are much less likely to thrive. True, cherries are popular and you would probably sell them for more money, but you risk not growing any or producing poor quality fruit. Cherries need 1,000 hours below forty-five degrees Fahrenheit in order to grow. So don’t lose your money chasing after fruit you cannot grow. You should also remember your limitations. The French traditionally believe that great food depends on more than just the environment—it also pertains to human influence and tender care. The success of your crop depends on you. If your schedule does not permit much free time, do not grow plants that require a lot of attention. Also, be mindful of what you know and what you do not. A plant may not require much care, but if you do not understand what it requires to thrive, it will not succeed. Okay, so you know your environment and have done your homework. Now you should consider diversifying. Do not risk all your knowledge and work on the success of one crop. Hedge your bets against one crop failing for some reason. 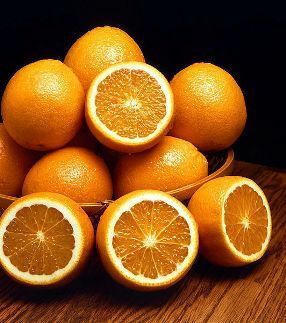 If you know your climate is ideal for citrus fruit, don’t just plant oranges: plant lemons, tangerines, and kumquats. Also, consider growing vegetables and flowers. If you want to expand further, incorporate produce into a finished product. For example, if you grow cucumbers, you can consider converting them into pickles. You can also turn your fruit into jam. Regardless of how you decide to do it, make sure to diversify. If you discover that one item is more popular than another, you can adjust accordingly, but leave your options open. No business can succeed without proper marketing. You may have a stellar product, but if no one knows of it, you cannot sell it. When starting out you should consider a number of marketing strategies. First, know your customer base. Define your base and modify your product to conform to their standards. At the same time, you should communicate with customers on a regular basis. The next step is to promote your name. Farmers markets are known for introducing new food into the market. Not only do they put you in front of customers, they also put you in contact with other vendors who can help. These are tough economic times. That is why you should take control of your finances and make your property generate income by planting a home garden. You can sell your goods to others and reduce your food budget. Samantha Greenbaum, earth-friendly mother of two and greenthumb in the making. If you’re looking for a bit more conventional way to make money—or help others manage their garden businesses—Samantha recommends checking out finance jobs with moneyjobs.com.